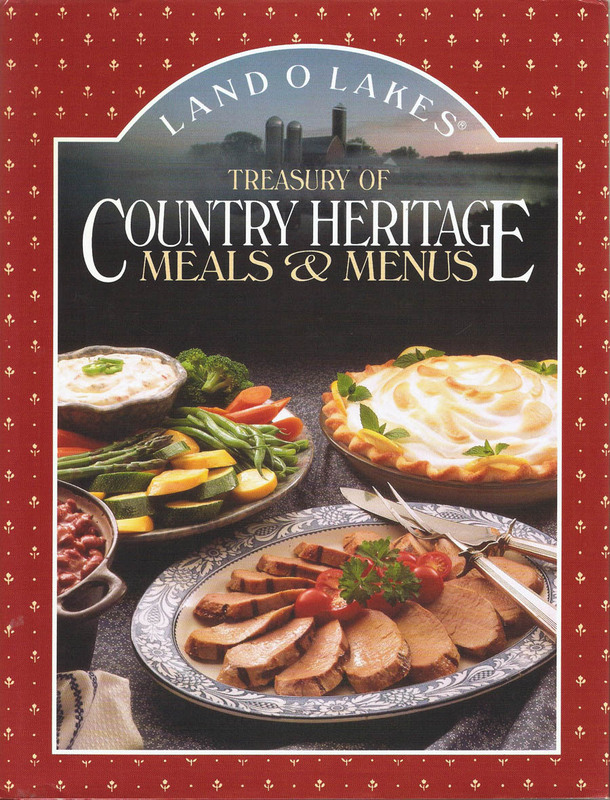 The Land O Lakes cookbooks are some of the best out there. This one titled Land O Lakes Country Heritage cookbook is one both Sue and I have and use. The recipes are to some extent similar to the recipes we grew up with. There is just enough of a twist to them to make trying the recipes fun and interesting. The book covers the full gamut of cooking and baking and does it well. Whether you are a Mid-Westerner or not, we think you will enjoy this book. The book is readily available on line and at a lot of book sales and used book stores. Here are some featured recipes from this book, hope you will be interested enough to try some of them and then look for the book. I have this book and it is certainly a good one! I look forward to you using it!